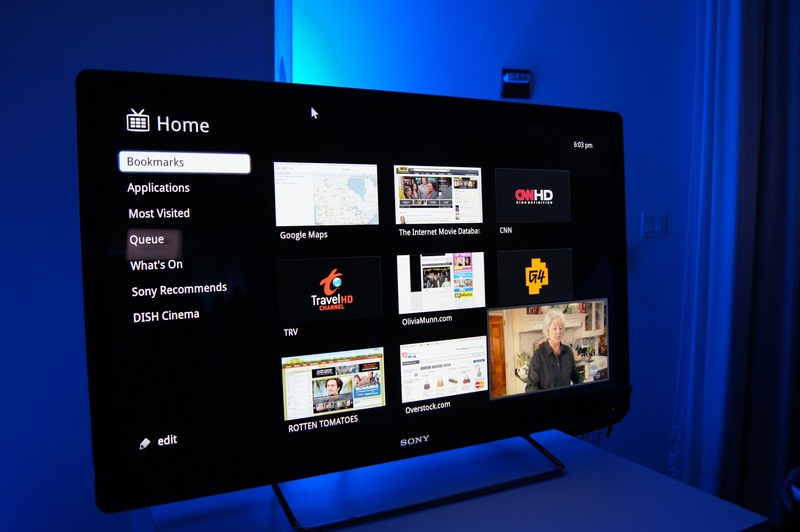 Make sure and check out our review of Sony’s Internet TV with Google TV (NSX-46GT1). 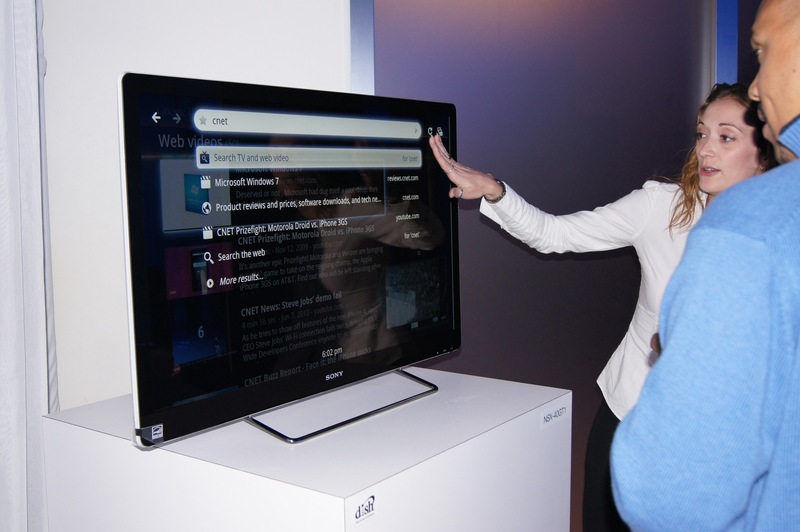 Sony literally took the wraps off of the first HDTVs featuring Google TV on Tuesday. And by literally, we mean Sony execs took a cloth off a 46-inch Internet TV to show it to the assembled press in Manhattan. Sony stressed this is the first HDTV that’s seamlessly integrated to the Internet. You can watch a show, tap the split-screen button on the PS3-inspired remote, hit the search button and the Chrome browser appears — and you can surf to your heart’s content. You’re not limited to sites as is the case with many other “Internet-enabled” HDTVs. Digital Trends got a chance to play with it, and the demo units were clearly ready for prime time. There were no Blue Screens of Death during demos, or embarrassed suits making excuses for flawed gear. In fact, the sets are available for pre-order on SonyStyle.com now and will be available this weekend. Best Buy will have them the week of October 24. There are four screen sizes available: 24, 32, 40 and 46 inches. The model numbers are NSX-24GT1 ($599), NSX-32GT1 ($799), HSX-40GT1 ($999) and NSX-46GT1 ($1,399). The three larger screens feature edge-lit LED backlighting but they only have 60Hz refresh rates, not the 120 Hz of sets that handle motion so well. Sony specifically said these sets are not for hard-core videophiles, just younger consumers who live on the Internet while watching TV. That’s why they have Intel Atom processors and 8GB of storage, to help them surf more quickly. Since the HDTVs feature Google TV with the Android OS, there are several apps available now, and many more are expected in early 2011 when the Android Market is up and running. All of the HDTVs have built-in Wi-Fi to easily connect to your router. As noted, the remote has a PS3 controller feel to it, but it also has a built-in QWERTY keyboard, and an optical mouse. The sets have Sony’s Video On Demand service, Qriocity, as well as pre-installed apps such as Netflix, Twitter, YouTube, Pandora and others. Many more are expected next year, and Sony said they’re extending an invitation to all developers for the platform. Still this is the best integration of the Web and HDTV we’ve seen, and the real key is you’re not limited in any way as to the content you can access. We’ll still keep using our iPad while watching our plasma TV, thank you very much, but this is a major step forward.